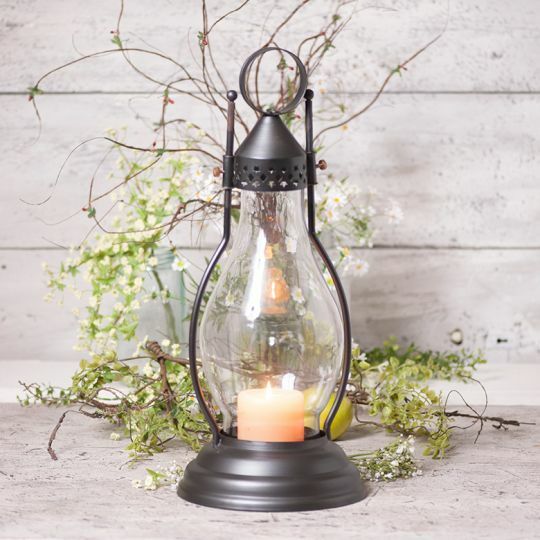 The largest size of our collection of Hurricane Lantern, the Large Hurricane Lantern has an onion shaped glove and has room for a battery operated pillar. Finger screws release the globe for cleaning and decorating. Smokey Black finish. Candle not included with purchase of lantern.